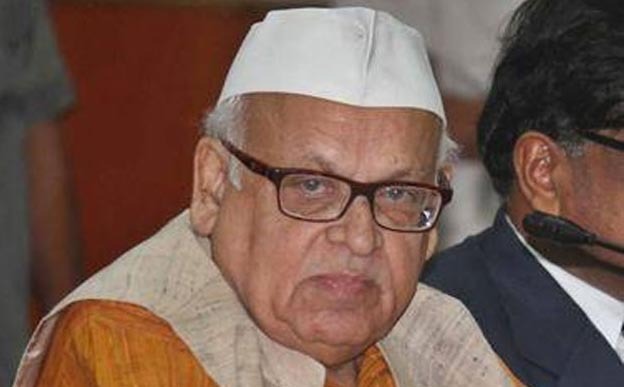 Former Mizoram governor and Congress leader Aziz Qureshi has alleged that the terror attack in Pulwama that claimed lives of 40 CRPF personnel was ‘planned’ by Prime Minister Narendra Modi. “This was done with planning (Pulwama attack), but people understand everything. If PM Modi wants to anoint himself by sacrificing the lives of 42 jawans then people will not let that happen. (Plan karke aapne ye karwaya taki apko mauka mile, lekin janta samajhti hai. Agar Modi ji chahein ki 42 jawanon ki hatya karke, unki chitaon ki raakh se apna rajtilak kar lein, janta nahi karne degi),” a report published by Business Standard on Monday quoted Aziz Qureshi as saying. Veteran Congress leader Qureshi also said the saffron party has failed to name its candidate against Congress leader Digvijaya Singh from Bhopal parliamentary constituency in Madhya Pradesh just because they are afraid of losing the fight. The ex-Mizoram governor further claimed the Congress will win over 20 seats out of 27 in Madhya Pradesh. Earlier, another Congress leader BK Hariprasad also alleged that the Pulwama terror attack was a result of a ‘match-fixing’ between Prime Minister Narendra Modi and Pakistan. Also read:How Assam’s Sepoy Bablu Das survived Pulwama attack? Jaish-e-Mohammad (JeM), a Pakistan-based terror group claimed responsibility for the attack that took place on February 14, 2019. Maneshwar Basumatary (47), a Central Reserve Police Force (CRPF) jawan from Assam’s Baksa district also lost his life in the Pulwama terror attack in Jammu & Kashmir. Basumatary hailed from Kalbari village under Tamulpur police station in Baksa district of Assam.